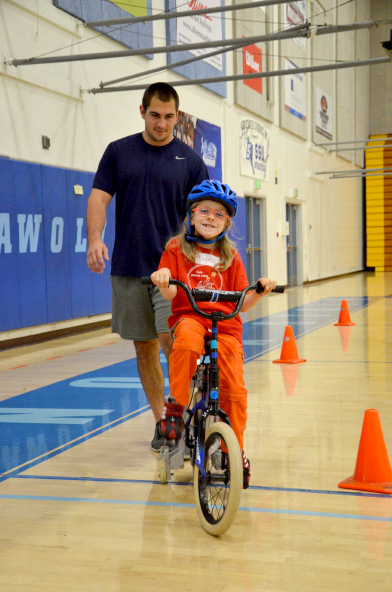 The Cycle Without Limits bike camp for children with special needs will be held January 15-18 at Sonoma State University. The camp uses specially-designed bicycles to teach children who often have difficulty learning how to ride a conventional two-wheeled bicycle. The camp is directed by Sonoma State kinesiology professor Elaine McHugh. Instructors include adapted physical education teachers and SSU students. The event is presented by Sonoma State University and United Cerebral Palsy of the North Bay. The fee for the four-day camp is $300, with limited scholarships available. This year features an optional extra practice or refresher day of training on Saturday, Feb. 6. For more information, visit http://ucpnb.org/recreation/cycle-without-limits-bike-camp. The Cycle Without Limits bike camp for children with special needs will be held January 13-16 at Sonoma State University. The camp uses specially-designed bicycles to teach children who often have difficulty learning how to ride a conventional two-wheeled bicycle.